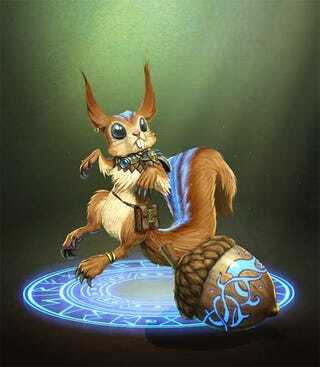 Behold Smite’s latest combatant, the Norse squirrel god Ratatoskr. Behold Smite’s latest combatant, the Norse squirrel god Ratatoskr. Yes, there is a squirrel in Norse mythology, and this is our first official look at his appearance in Hi-Rez Studios’ god-battling MOBA. Yes, he fights with his nuts. Yes, I am going to be completely insufferable when his update comes out.